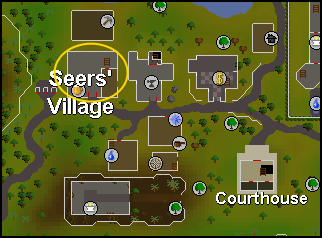 You can find many Taverns, Pubs and Bars throughout RuneScape; most of which serve regular beer. But after stumbling upon the Barbarian Outpost while either exploring or while in the middle of completing the Scorpion Catcher Quest, you'll need to complete the Alfred Grimhand Barcrawl to enter. If you haven't already, speak to the Barbarian Guard at the outpost found northeast of the Tree Gnome Stronghold. He will give you a Barcrawl Card, which you'll need to bring with you to each of the 10 specific bars around RuneScape. You'll need 268gp to complete the Barcrawl in its entirety. When you get to each of the bars, just speak with the Bartender and tell them that you're working on the Barcrawl. Then buy the correct drink from the list, drink it, and the Bartender should sign your card. You can see which bars you've already visited by clicking on the Barcrawl Card, and the ones you've already been to should be in green. You can visit these bars in any order, but the following instructions should be one of the quickest ways to get it done. First, head to the Forrester Arms Pub in the Seers' Village. Buy the Liverbane and drink it. 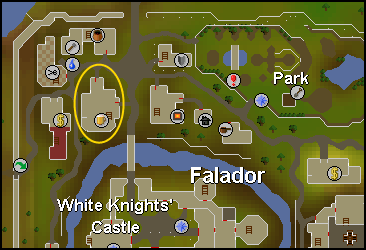 Now head to the Rising Sun Inn located in Falador, buy the Death Cocktail and drink it. 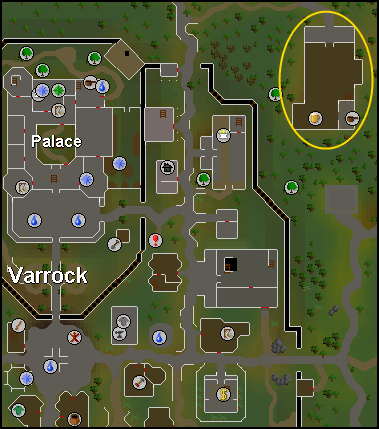 Now go to the Jolly Boar Inn found in the northern part of Varrock, order the Olde Suspiciouse and drink it. After that, head to the Blue Moon Inn in the southern part of Varrock, buy the Uncle Humphrey's Gutrot and have a drink. 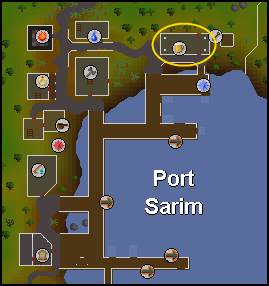 Head to the Rusty Anchor in Port Sarim and buy the Black Skull Ale. Drink it. 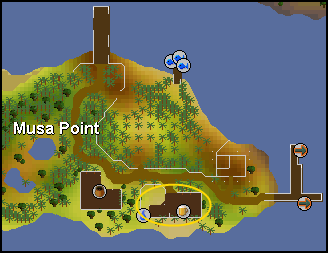 Take the boat to Karamja for 30gp and then order an Ape Bite Liquor to drink from the Karamja Spirits Bar. 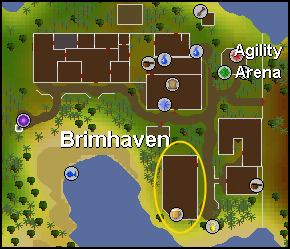 Head to Brimhaven on the west side of the island and buy an Old Supergrog from the Dead Man's Chest. 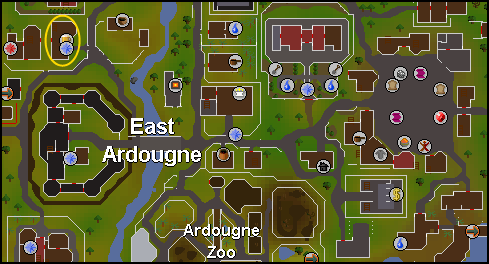 Now take the boat from Brimhaven to Ardougne and buy a Heart Stopper from the Flying Horse Inn. 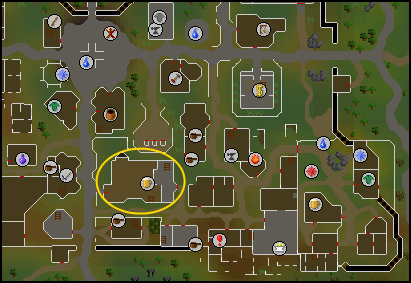 Head to Yanille to the south, buy a Fire Brandy from the Dragon Inn and drink it. 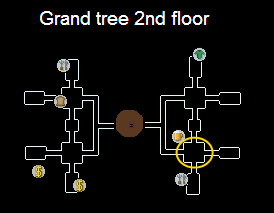 Now head to the Grand Tree located in the Tree Gnome Stronghold. Go upstairs and into Blurberry's Bar, where you can buy a Fire Toad Blast and drink it. After that, you're done! Head back to the Barbarian Outpost, show him your completed Barcrawl Card, and you'll have access to the outpost!